Most office spaces in the Caribbean, through the earlier centuries and even towards the early 20th century, epitomised 'square' and 'rectangle. These days however, the aim is to make the office spaces as modern as possible and using the most eye catching or least expected materials to enjoy conversations with the clients.. I suppose a beautiful distraction in the form of a creatively designed and built office space helps with getting the contracts. Afterall when you're peering through glass windows from the remains of an old container, enjoying endless views of the ocean and city line, the thing furthest from your mind would be...'I don't want these guys designing my home'!! So, why not try a container shipping office, not only will it rid you of that beloved container but you can also save space indoors by utilising the convenience it offers. Get ideas and inspiration from Lewis's most recent photograpy expedition in Jamaica! Which construction material is sustainable, easy to install, durable, beautiful and low maintenance? Yes, it is Bamboo Decking! Bamboo is a fast growing plant, with reported growth rates of 39" in a 24 hour period! The growth rate is based on a lot of factors and species. The normal growth is 1.2 - 3.9 inches per day. Regrowth is easy, because Bamboo is not a wood, it is a grass therefore the stems are ready for harvest in 5 - 6 years and the new shoots germinate from the root system - this gurantees the sustaibability. Premium Brazilian Decking has in stock the bamboo decking which has gone through a process of of fusion, which results in a durable decking or siding product. After the 6 year old plant is harvested, its shredded into fiber, then fused into panels after which it is milled into .XTR Decking, RainClad Siding, lumber and panels. For beautiful decks, outdoor furniture or for use indoors; contact Premium Brazilian Decking to place your orders or get more information! Our Carib ancestors idea of a little feng shui in the home or in ceremonial structures like the traditional carbet, would be the ‘Zemi’ or iconic representations of their many Gods and spirits. Essential ones like the Gods of food, weather, wealth and health would be carefully placed to enhance the space and its creative energy, or represented on portraits or carvings on interior and exterior finishes including chairs, tables, pillars and eating utensils like the Calabash bowls. Most of this living space art tradition is now lost sadly, but any modern Caribbean home could and perhaps should pay a little homage to the peoples who were here before us with a small benign weather icon outside on the verandah or wealth Zemi over the front door! Life is a garden in Dominica! On other less mountainous Caribbean islands, life is more of a beach but in Dominica where anything and everything grows, its a garden! Dominica’s mountains reach up to nearly 5,000 feet and are habitually topped with rain-giving clouds, which keep the rivers full with more than twice as much rainfall as any other Caribbean island. From avocado to aubergine, from breadfruit to broccoli, from cashews to carrots, its an a-z market gardeners’ paradise! The Allagoptera arenaria more familiarly known as the Seashore or Restinga Palm is native to Brazil. Usually fond of coastal areas just above the high tide marks, it commonly grows to about 6 feet. 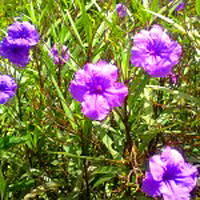 It has elongated blade like leaves which reach out from a thin stem. The fruit is edible and a family favorite in south America, where it is cultivated particularly for juice and jam. The leaves are sturdy and good for recycling into baskets, fans and hats. The generic name of the seashore palm, Allogoptera, comes from the Ancient Greek words αλλαγή (allage), meaning change, and πτερόν (pteron), meaning wing, and refers to the swirled, changing pattern of the feathery leaves. The species name, arenaria comes from the Latin, for "sandy" and fittingly it loves to grow in dry, sandy areas in your beachfront Villa's garden! Place your orders with Botanics wholesale, it’s currently in stock and ready to be shipped anywhere in the world! Landscaped with Arkee trees and a suspended steel laboratory hardly sounds like the ideal environment for students to undertake scientific experiments. I mean, surely they'd be distracted by the intricate details of the 'hanging room' and what holds it together - a recipe for converting medicine students to future architects, I agree! Oh well, I guess we will have to resort to its environmentally aware design for conversation! "Within the Mona Campus of the University of the West Indies is the newly completed Medical Sciences Complex. The project employs a number of sustainable design features some of which are rainwater harvesting, grey water re-use, green roofs, solar water heating and photovoltaic panels. 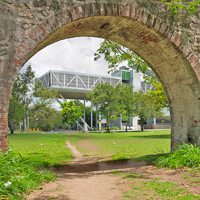 The design incorporates the innovative use of chilled beams for cooling, representing probably the largest installation of this relatively untried low energy method of cooling in the Caribbean". Thankfully Brian Lewis was on hand to capture the modern day fusion of architecture in education! Many of the properties and benefits of common household tropical plants are unknown or ignored, however in the case of aloe - many people swear by it! For soothing sun burns, removing makeup, use as an aftershave, helping with the removal of wrinkles and taken internally as a tonic for an overall health boost, aloe is highly rated in the Caribbean! Its juice contains 20 minerals, 12 vitamins and 18 amino acids - a super-plant! Easy to grow and adaptable to most climates - this plant is a must have, whether for medecinal purposes or as a decorative piece! Best grown just outside the kitchen door for emergencies for blisters and burns. An Aloe plant can be shipped to your door from Botanics wholesale, wherever you are! The Caribbean islands are still far too dependent on imported fossil fuels for household, government and commercial energy supplies. The region has some of the world’s most expensive per unit cost, which creates an economic vulnerability and fossil fuel dependency on other nations who don’t have the Caribbean’s best interest at heart. Caribbean energy consumers pay between four to five times as much per unit of electricity as the continental USA and Europe. 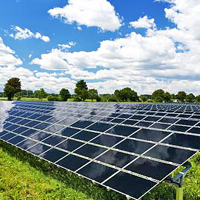 This is changing, and as a result there are opportunities opening up on all the islands for alternative energy technology supply and support. 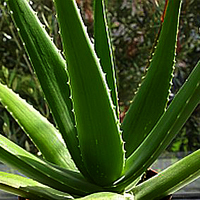 Many of the properties and benefits of common household tropical plants are unknown or ignored, however in the case of aloe - many people swear by it. For soothing sun burns, removing makeup, use as an aftershave, helping with the removal of wrinkles and taken internally as a tonic for an overall health boost, aloe is highly rated in the Caribbean. Easy to grow and adaptable to most climates - this plant is a must have, whether for medicinal purposes or as a decorative piece! Best grown just outside the kitchen door for emergencies for blisters and burns. Architectural Photography is successful when a combination of equipment and artistic ability is utilised to capture wonders! 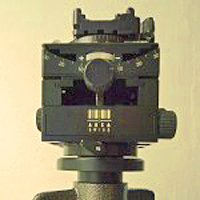 In this blog Brian Lewis examines the long and tall of 'the Tripod and its Head'. He said it best "Architectural Photography does require some specialized equipment but the art of photography primarily depends upon the artistic ability and skill of the photographer. Excellent tools are just that – they allow the artist to deliver even more excellent images. But make no mistake there is no substitute for the creative eye of the artist". In the Caribbean plastic bottles are not what springs to mind when one thinks of a roof. Grass or tin...yes, and though they both come with their share of troubles - grass attracts insect and leaks in the rain and tin starts rusting after a while - they are our first ideas! With the much talked about and building trends leaning to sustainability - it is no surprise that Ecuador has taken to making use of plastic bottles by converting them to roofing materials - recycling in a sustainable manner while creating jobs - also sustainable. Do I mean stacking bottles and tying them on a roof? No, no... See what they've done here! In every group there is always a leader...and in the tropical garden the stately palm tree commands a certain majestic presence. 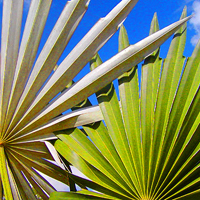 Palms are used decoratively, for food, as windbreaks and for the marking of boundaries. But which one do you choose for your particular garden? After all there exist literally hundreds of species! Lets see, there are about 2,600 known members of the palm family, which is a native of warmer climates and in some cases dessert like conditions. Though all the species share some similar characteristics (Flowers, Seeds, Trunk) there are distinctive features in each palm. 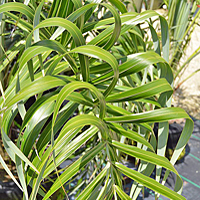 Get more information on the variety of Palms available to the Tropical region from Botanics wholesale, a leading supplier of garden plants to the Caribbean and the world! 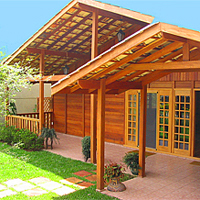 Its not only world class football that Brazil exports, renewable Brazilian hardwoods make world class timber homes. Building concrete and steel homes contributes significantly to greenhouse gasses which are without doubt destroying the life of our Caribbean sea. Wood, which is strong and flexible makes a winning alternative, especially when the lumber is properly harvested and managed in a sustainable way. Modern wooden structures are extremely strong and skyscrapers of timber are now being designed and built instead of using our resources up in concrete and steel. 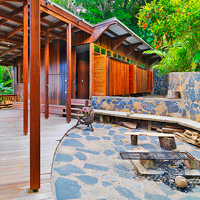 Traditional Caribbean homes were built in wood and stone with wood from the local forests. But these are all now Forest Reserves or disappeared altogether. So for the modern wooden home, a kit from ‘managed’ forest reserves in Brazil is a very good sustainable solution. Flatpacked with full instructions and no FIFA rules! Living in the Caribbean, the great outdoors are almost, always inviting. Make the gardens, backyards or any spare space a sanctuary for relaxation by using Key Stone Manor walls from Ecologica Carmelo to secure, in style, your deck, patio or bbq area! The stones are Weathered or antiqued finished to provide a more natural stone look to the units. They allow each unit to be used in multiple positions within the wall additionally each unit can be used as an exposed end unit or a 90º corners. 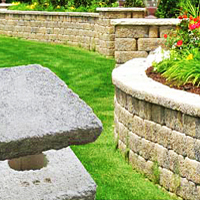 Keystones can be used for small freestanding walls, pilasters, columns and retaining walls. Architects and architectural photographers continue to surprise us with the amount of passion and enthusiasm they exude when they stumble upon a new... inspiring piece of architecture. In his blog, ARTIST’S HOUSE AND STUDIO, Brian Lewis describes with a passion, in detail, the time he enjoyed photographing every angle of a masterpiece! Tucked away on a remote hillside overlooking the north coast is an artist’s house and studio designed by Jenifer Smith Architects. 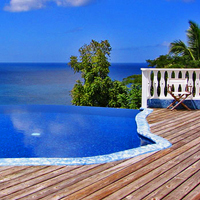 The house enjoys an inspiring view over the north coast of Trinidad. Building in a remote location bordering on a tropical jungle has its challenges. The choice of materials and construction methods are important, the lack of services is another. This house is designed to overcome these challenges by providing a huge underground water storage tank supplied by roof water from the galvanized roofs and electricity is created from an array of rooftop photovoltaic panels. A sense of history... a feel for decorating and a time for planting - here is the perfect opportunity to make your home vibrant, using near exact replicas of plantation era, antique-looking pots! 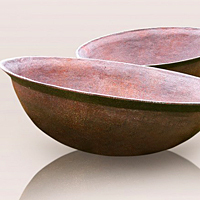 East of Eden Limited is offering concrete planter pots called the COCAL line, being the only company to replicate the large old cast iron antique cauldrons which are relics of the sugar plantations. These old relics are difficult to find, extremely costly, very heavy and difficult to move. We manufacture our coppers from glass fiber reinforced concrete and with particular care and attention finish them to replicate rust patina beaten metal. These planters can be used as containers for plants perfectly nestled in an existing garden bed or as exquisite water features. In addition to being affordable they can also be used as a fish pond for your home or garden! Old fashioned corrugated iron and metal roofs used to lack style and design, and gave a building a rather shabby and downtrodden look. 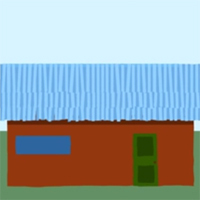 Somehow next to tiles, shingles, or concrete roofs they always made the building look like the poor cousin. Not any more! Things have changed, and the metal roof (no longer iron) has come into its own. More adaptable than other materials it can have its own intrinsic design or mimic other materials whilst retaining its own special qualities. 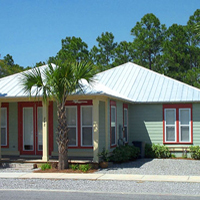 Metal roofing is the system most qualified to perform in the extremes of wind, heat, humidity, and precipitation in all temperate climates, tropical and sub-tropical. To maintain harmony with nature we must be considerate of the waste we produce and ways in which we dispose of them. Though few places exist in the Caribbean for viable recycling, one does stand out, Sustainable Barbados continues to fly the flag for recycling and reuse in the Caribbean. Engineers, architects, home builders in the Caribbean and beyond, Southeastern Metals produces over 3,000 metal building products, specializing in metal roofing, ventilation, trims flashing, steel framing, corner bead and drywall accessories. 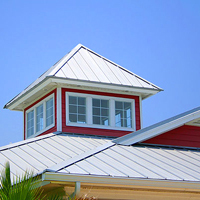 We offer a complimentary take off service for metal roofing. Contact us today for expedited service in sourcing metal roofing and building products. Your children may never have known the beauty that is the island chain south of Florida had it not been popularized to the young audience in Disney’s “Pirates of the Caribbean.” The entire area is rife with history dating back hundreds and hundreds of years. Although your children may not be able to sail with pirates in the real world, the wonder that is the Caribbean still has a great deal to offer young minds. What can keep the attention of your young ones in this paradise? Expose your child to some of nature’s most awe-inspiring locations. 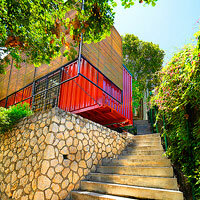 Introducing Country Manor, maufactured in Puerto Rico and shipped throughout the Caribbean by Ecologica Carmelo! 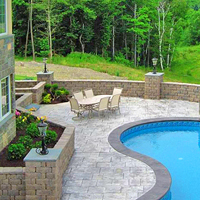 Keystone Country Manor offers the appearance of rustic hand laid stone walls with the strength and ease of installation provided by dry-stacked, modular pin-connected technology. Random and rugged, these high-strength concrete units resemble Old English estate walls, adding character to any project. Correctly assembled, Keystone Country Manor units will result in unique designs with the texture, color and appearance of hand-laid stone. Walls can be built as low gravity walls or taller, soil reinforced wall structures, capable of handling surcharge loads. Find descriptions of the Country Manor product Line, the required tools, construction methods and availablilty from Ecologica Carmelo. Though most islands in the Caribbean enjoy sunshine all year round, a few showers now and then is also guranteed! However the great outdoors can now be enjoyed on your patio, come rain or shine, made possible through the new SkyLift. Here is what we know; if you want to extend a cover over your patio but your roof line is too low, Premium Brazilian Decking has the answer. SkyLift enables you to start your Pergola above your roof line so even with the angle of your Pergola, you are able to have plenty of head room and open your patio doors. 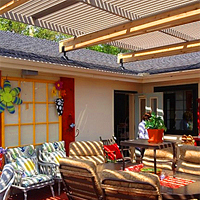 Now you don't have to cancel your party plans, you will have cover rain or shine plus shade on those hot summer days! 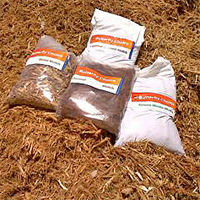 Ecologica Carmelo is a leading maufacturer and supplier of numerous construction materials for the Caribbean Market. 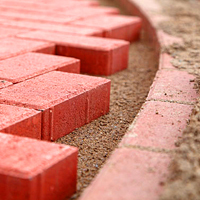 Manufactured in Puerto Rico, from locally sourced materials are a wide range of Concrete interlocking pavers, concrete blocks, mortar, thin sets, sands, aggregates and Structural Concrete Insulated Panels-GCT-SCIP and more! Ecologica Carmelo is providing a step by step guide on how to install products from their range; today we deal with your concrete pavers and its components. In need of doors, windows, roof trusses or other lumber products? West Orange Lumber is the company you can turn to and trust. Offering one of the biggest selections of commercial and residential doors in steel, timber and fibreglass, plus associated door surrounds, hardware etc. for shipping to the Caribbean. As central Florida’s preferred lumber yard, West Orange Lumber cares about their customers and caters to the needs of private home owners, local builders and contractors. "We work with them to make sure that they are satisfied and promise that you’ll have what you need, when you need it, every time" says Jim Jamison, who is available to take your orders and answer any questions. One of the most beautiful things about the Caribbean is that we do not get snow, so there is never an outdoor activity that will be hindered for months - if it cant be done this weekend becaue of the rain, we will get it done next weekend, should be sunny then! 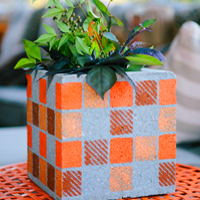 Instead of buying flower pots, here is an idea, craft your own vases and have fun designing them for the garden, for the kitchen, for any room in the house. Very little is needed, besides a slightly sunny afternoon, few materials and the end result is beautifully crafted and vibrant colored outdoor/indoor vases! Planning permission for your Caribbean project anywhere in the islands, needs to be obtained for any private or commercial construction. Its a bit of a lottery though to know which islands and which officials are going to endorse what section of the Building and Environmental Codes. On most islands, other than those governed by the US; zoning is either non-existent or is somewhat loose in its application, mainly due to lack of manpower as a result of underfunding, and local owners circumventing the planning process by various means, when they want to develop something for which permission would not normally be granted. Prior to reading Brian Lewis's article on scouting for projects to photograph, I believed it to be a simple task of grabbing a camera, jump in the car and "uhhhh... this looks nice, I will start taking pics"... was I wrong? Mr Lewis says : Scouting a project before actually undertaking a photographic assignment is ideal. Even better if you can manage to arrange a walk around with the architect to learn first hand about the design intent, features and problems encountered in the execution of the construction. Scouting is the best intelligence to get for a photographic assignment. You only need one case of arriving at a project to find huge guard dogs to contend with to appreciate my point. Outside of the extreme, learning about the mundane can also be very helpful. For example switches can be a real challenge, especially some of the more recent dimming switchgear, and you really don’t want to find yourself in a panic during the golden hour fiddling with lighting. Continue reading this informative piece by following his blog! 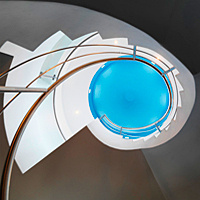 When it comes to style and design, choose how big a part of your lifestyle the pool is going to play. In cooler climes the warm kitchen or a roaring fire in the living area is the heart of the home, in the tropical Caribbean a cool well designed pool can be the heart of the home. Mediterranean architecture introduced courtyards with fish pools and fountains into country villas and town houses thousands of years ago. A modern courtyard with a swimming pool as the centrepiece of the house provides entertainment, exercise, natural cooling, good feng shui, and a place for the family to gather around. Brian Lewis continues to offer fascinating tips on architectural photography as well as his very enlightening experiences. This week his focus is on the ability of 'Good Architecture' to provide continuous work.. or rather he laments on the relationship between good Architecture and work.. contracts.. actual projects! Since 1968 The Caribbean Hardware & Construction Trade Show with Lawn and Garden Exhibits has played an important role in helping companies to establish business relations in the Caribbean. For the 46th time, representatives from 23 Islands will converge in Puerto Rico to showcase their company's products and to encourage trade between the regions Construction and Home Improvement industry members. From the 21st to the 23rd of February 2014 the Caribbean, North and South America will meet and engage in an exchange of products and services. On average, over the last few years over $25 Million dollars worth of commodity is bought during the 3 days of exihibition. To find our more about this opportunity either as a buyer or seller, visit the Caribbean Hardware and Construction Trade shows website. Premium Brazilian Decking now carries Apitong Truck and Trailer Decking. Our Apitong stands out above the rest! The warehouses that our Apitong ships from monitors quality through the entire manufacturing process which means you get the best Apitong on the market today. By testing the products and bringing you a detailed report, you will know that you are getting the finest quality Apitong available. With several manufacturing plants and warehouses, we are able to offer great pricing along with low cost shipping options as well. CAD drawing and design are available so that the warehouses can produce just about any profile you need. Whether you have one truck or a fleet, we are here to help. 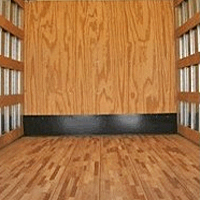 Truck and trailer packages will be made available upon request. This Apitong can be shipped to the shipping consolidator or shipyard of your choice in the U.S.
Humidity and dampness can place real threats to property and life. When building its a question that is least prioritised, compared to how many rooms? Or, how large will the kitchen be? However when effective and environmentally friendly methods are available, I feel compelled to remind you! Here is a great and innovative gadget developed by Schrijver System. 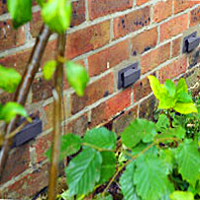 The Schrijver System controls humidity and damp using a series of small handmade elements fixed into the outside wall of your property. The principle is simple: dry air constantly flows from the outside into the elements through an opening. This leads to a drop in temperature, which produces a “cold bridge” causing moisture from the interior of the wall to be deposited within the element. The natural airflow then transports the moisture outside. The result is a lower relative humidity level inside your property, dry walls and continuous protection against damp. Brian Lewis continues his search for Architectural Masterpieces to photograph for the Contemporary Caribbean Architecture publication, this time he is targeting the Greater Antilles. Are you there? Do you know of or own any? This article is a brief overview of the planning to photograph projects in the Greater & Lesser Antilles for the publication of Contemporary Caribbean Architecture. "This year, hopefully in May I am planning to travel to Jamaica and Puerto Rico. If you know of any projects or architects that might have suitable projects please let me know as soon as you can. In each island I am planning to photography five projects spending a week in each island. So by the time this gets published I am hoping to have most of the projects selected but there may still be some space available". Many people have a hobby or a sport that they are passionate about and skilled at, but the enjoyment is restricted to a few weeks or weekends each year. Whether its skiing, cycling, sailing, golfing or even diving and snorkelling, few of us are lucky enough to live the dream and be in a position to change the occasional pastime into a full-time day job. But it can happen! 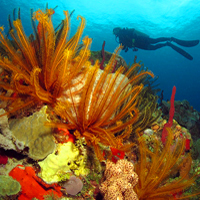 The Caribbean has some of the top dive locations in the world, and is home to the world’s second longest reef system. Caribbean tourism growth “outpaced the rest of the world” in 2012, according to World Tourism Organization (UNWTO) statistics that reported more than one billion international tourist arrivals in 2012, up 4 percent from 2011. Anyone for diving? All day every day? 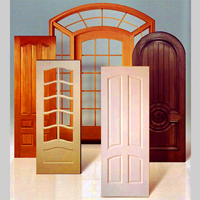 San Miguel Windows and Doors is dedicated to the manufacturing of highest quality products. The company is the leading manufacturer in Puerto Rico and the Caribbean for over 30 years, extending our services to home owners, contractors, engineers, architects and builders. 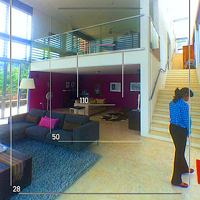 Our primary goal is to provide security to our clients family and assets with elegance and sophistication. 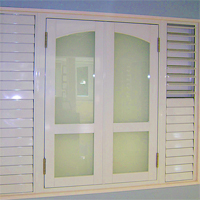 Products include: Security Windows, Casement Windows, French Doors, Folding Doors, Louver Windows, Rollup Shutters, Accordion Shutters, Pivot Doors, Screens, and much more. 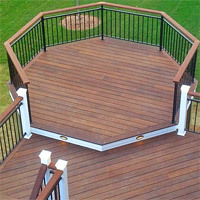 Premium Brazilian Decking, LLC is located in Florida and can ship your wood to the shipping company or the shipping consolidator of your choice. They carry Brazilian Hardwoods such as Ipe along with Cedar, Cypress, Treated Lumber, accessories and more. We have great Ipe pricing! 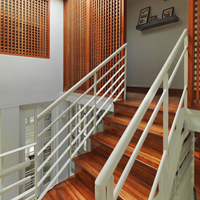 If you are looking for a particular wood, please contact us and we will be happy to help! We now carry Synergy Cypress. This is an all natural pre-finished Cypress, comes in a variety of colors and is absolutely gorgeous! 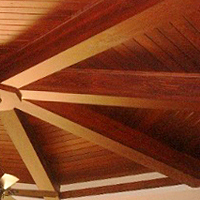 It is great for ceilings or walls (both outside and inside) of your home. The only place to put a swimming pool in the Caribbean is outdoors! Unconstrained and unconfined, you can place your pool anywhere under the sky, on the sea, a river or the good green earth! When planning the swimming pool for your new Caribbean home, there will be design and budgetary decisions. 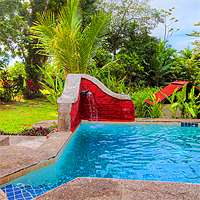 In cooler climes the warm kitchen or a roaring fire in the living area is the heart of the home, in the tropical Caribbean a cool well designed pool can be the heart of the home. Caribbean Beachfronts, Windy or Not? 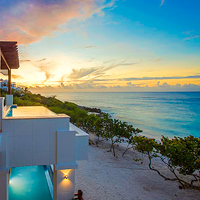 What is the perfect position for a villa on a Caribbean island? 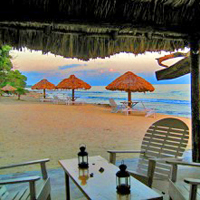 There are two clearly defined types of beachfront…leeward or sheltered, windward or open to the oncoming weather. Building a house with a garden, or even a verandah that opens out onto a white sand beach paints a wonderful picture, but the reality of life on the beach is somewhat different. 90% of beaches are on the leeward side of the islands, sheltered from the big Atlantic rollers and storms which have carved the coastline to form rocky windward shores and small sandy coves. So how do you decide? Traditional is nice, very nice actually, but when you have the choice of saving energy and money by limiting or removing entirely 'traditional fluorescent lights' I say forget tradition and I'll take LED lights! The Millennium Collection from DEKOR takes mood lighting to a whole new dimension with small yet powerful low voltage LED lights that offer function and style. Perfect for landscape lighting, decks, docks, steps, patios and gardens. Dock lights and marine lighting. 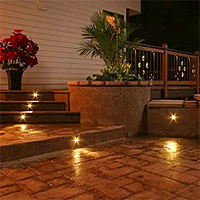 You can even embed them in concrete walkways or steps, wherever accent lighting is desired. The lights are 40% brighter than ever and feature an LED technology designed to last for decades. Tiny LED lights are perfect for safely lighting stairs and under rails, and our recessed lights are compact enough to fit just about anywhere. Some artists are able to recreate reality through paintings, others in our line of work, create surfaces to mirror it! Light transmitting from natural products which are widely accessible throughout the Caribbean; Stone, Wood, Glass, Resin and Fabrics! Yes, that can sound a bit haphazard and not to everyone's taste, however once you have added 'your touch' it can work extremely well. Think about it... translucent desks, walls, ceilings, floors? 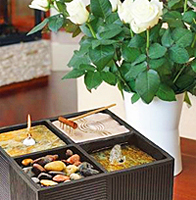 The surface will set the atmosphere, evoke emotion and provoke thought. 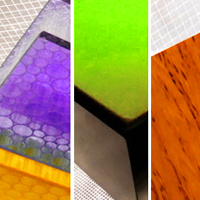 From dramatic natural stone panels to clean and elegant glass, from deep textured resins to soft fabrics, you can call on the experience of GPI Designs to help you discover the right decorative surface for your particular design. French interior design is inherently classic and perfectly suited to the more spacious Caribbean properties. Including large apartments and villas in the islands like Antigua, Barbados and Anguilla or Central America in countries like Costa Rica or Panama or wherever in this exotic and tropical region you decide to buy. 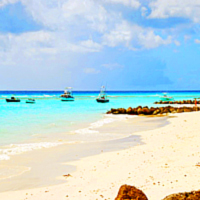 Property prices in the Caribbean can be very expensive, but then again they can also be remarkably affordable. Ask the right questions and consult with the right people, be honest about your budget and your requirements to purchase a property as an investment or a place to call home. With proper guidance and good decision-making you will find that you won’t need to spend your full budget, and there will be a good surplus for peripherals including interior decorating.